John, while I respect much of what President Trump has accomplished, with his decision to give amnesty and citizenship to illegals, then force US taxpayers to pay for the wall, which is the exact opposite of what he ran on, I no longer have the trust in him I once had for he has proven himself to be unworthy of our trust. This specific issue is harder to predict what Trump will do as his advisors have not proven themselves to be reliable either so I really don’t know how to answer this. Given the politics involved, my guess is he will not prosecute CAIR though the INTEL community knows they are a front for terrorist groups. Honestly, I wish they would stop using the words terrorist and terrorism as those are misleading terms as they are tactics, not countries or ideologies. We are not at war with tactics, we are at war with an ideology called islam, or more accurately the ideology of islam is at war with us as well as with all countries that are non muslim. Of course few governments have the courage to publicly state that for they are cowards and traitors too committed to the NWO who is using islam to destabilize the West so it will collapse. 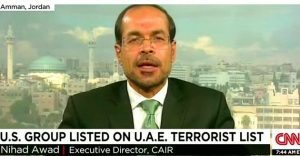 Anyway, I do not think Trump will prosecute CAIR. 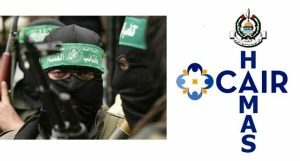 We will see if this administration prosecutes Hamas doing business as CAIR. UTT continues to say that even if Mr. Trump’s actions and policies are ideal, this war must still be won at the local/state level. Pastors and Sheriffs are key. Citizens must organize and understand the threat. Use the resources at http://www.understandingthethreat.com. Then push Pastors to speak truthfully about the threat of Islam, and push sheriffs to host UTT training and deal with the threat at the county/local level. It doesn’t look like he is. …and I don’t think he will. Sadly. I don’t think he understands the enemy. And no one around him is informing him it seems. So the problem will continue. And will grow. I don’t know what it will take to wake up our leaders to this challenge. I’m afraid they will ever wake up and deal with the enemy within. Be it the Islamists, or the Commies. God help us. Inasmuch as American presidents aren’t given a threshold set of “yes, no or other” optional boxes to check regarding their inaugural affirmation to “preserve, protect and defend the Constitution of the United States”; and bearing in mind that President Donald Trump above all else is a fighter whose determination to protect the lives of his people metaphorically emulates the ring skills and courage of Jake La Motta and Joe Louis combined, the answer to UTT’s headline question is an unequivocal “yes”, he will prosecute the sharia-adherent terrorist group known as CAIR, and others; I.e., the country is at war*, thus he’s left with no other choice. *Anyone who wishes to acquaint themselves with the actual facts regarding Islam’s declaration of war on the United States, which was seized by Special Agents of the FBI from a subterranean basement in Annandale, Virginia in compliance with a federal search warrant, in 2004, may request (for a nominal handling & postage fee) an Arabic-to-English verbatim translation of said seizure by contacting http://www.securefreedom.org to order a copy of: GOVERNMENT EXHIBIT 003-0085 3:04-CR-240-G U.S. v. HLF, et al. John, the FBI is Compromised video is excellent, the video could be a jumpstart to the the curious to research the names, the facts about the mosque located in D.C, and the blindness of the FBI. How to get it to Fox, to be broadcast, it could get conversations flowing and embolden President Trump to stand against the recklessness of the left. This Russian collusion conversation is wearing the mind…the opportunity to work with instead of against Russia to fight terror will soon close and we will be on the wrong end I fear. It was President’s Trump acknowledgement that he knew there is a problem, he should not deviate from his recognition of reality. The 9/11 Commission Report states there was a declaration of war on the United States…..by Bin Ladin and the demands of their sharia law that revived it’s jihad to conquest. I agree Angie, this is exactly what is happening to Pres. Trump, the left and Dems and even some Republicans fight him although the Republicans are waking up and getting tighter. I believe he is a good man and trying to save this country, but the truth has been cleverly remarketing by many Muslim organizations, the imagery of the young face covered glamorized and the truth pushed to the corner, the media compromise and the information purged along with our national security. I never the facts could ever get so sealed off. Error, I would have never believed the facts could get sealed and filed under inconsequential, a total rejection of the reality of the goals of global Islamic movement propelled by the doctrine and carried out by the believers.